The June Prices Received Index (Agricultural Production), at 95.1, increased 0.1 percent from May 2018. At 90.3, the Crop Production Index increased 0.7 percent. The Livestock Production Index, at 98.5, increased 0.2 percent. Producers received higher prices for oranges, hogs, market eggs, and broilers but lower prices for cattle, corn, cauliflower, and soybeans. Compared with a year earlier, the Prices Received Index is down 3.3 percent. The Crop Production Index increased 3.4 percent and the Livestock Production Index decreased 8.1 percent. In addition to prices, the indexes are influenced by the volume change of commodities producers market. Increased monthly movement of wheat, hay, peaches, and corn offset the decreased marketing of oranges, milk, broilers, and tomatoes. The Food Commodities Index, at 98.9, increased 0.4 percent from the previous month but decreased 5.2 percent from June 2017. The June Prices Paid Index for Commodities and Services, Interest, Taxes, and Farm Wage Rates (PPITW), at 108.8, is down 0.2 percent from May 2018 but up 2.0 percent from June 2017. 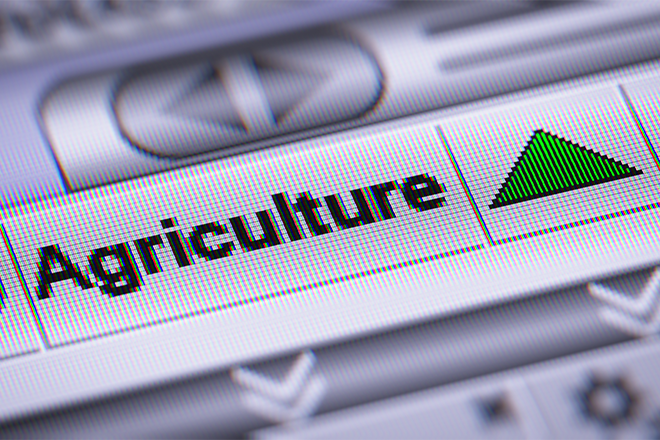 Lower prices in June for feeder pigs, herbicides, hay and forages, and complete feeds more than offset higher prices for other services, feeder cattle, supplies, and diesel.